I Don’t Believe We’ve Met, on NBC’s TODAY (9 a.m. hour) on the release day: Friday, December, 1. Bradbery, who NPR says is “exploring the possibilities of timbre, tone and inflection, and incorporating R&B-steeped pop attitude in a way that feels natural,” on I Don’t Believe We’ve Met, heads into her TODAY show performance on the heels of her recent performances at CMT’s Next Women of Country in November and CMT’s Artists of the Year Awards in October, where the hurt and losses from the many tragedies of 2017 were remembered. A four-show run at Nashville’s One at Cannery Row, New York’s Hill Country, Houston’s White Oak Music Hall and Los Angeles’ Hornblower Cruises and Events will kick off I Don’t Believe We’ve Met’s release. The only way for fans to enter is by buying a pre-order bundle HERE. Fans will receive “Worth It” along with lead single “Sway,” “Human Diary,” “Hello Summer” and “Potential” instantly when they pre-order I Don’t Believe We’ve Met HERE. Learn more about Danielle at DanielleBradbery.com or follow her on Facebook and Instagram @daniellebradbery and Twitter at @DBradbery. Find the most current Danielle Bradbery tour dates from our partners at Country Music On Tour, your trusted country concert ticket source! Country Music News Blog participates in advertising programs that help fund the operation of this site. For more information please visit our privacy statement. 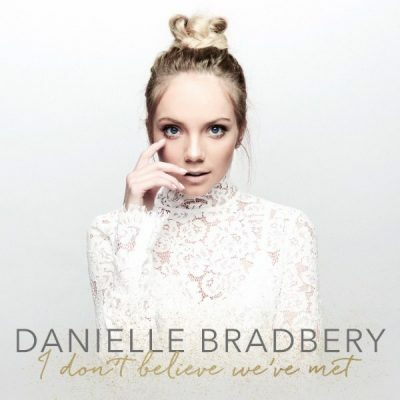 This entry was posted in Danielle Bradbery, New Music, Press Releases, Television by Shauna "WhiskeyChick" Castorena. Bookmark the permalink.